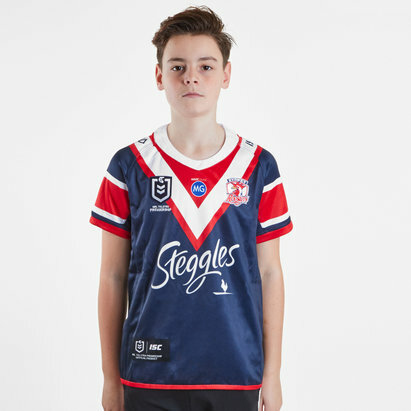 Cheer on the Easts in the 2019 NRL with the Sydney Roosters NRL 2019 Youth Home S/S Rugby Shirt from ISC. 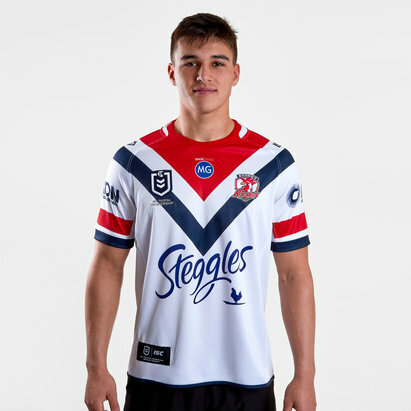 Sticking to tradition this home shirt is navy and features the club colours red and white in a chevron design at the top of the shirt with the sleeves coming in a navy, red and white striped design. 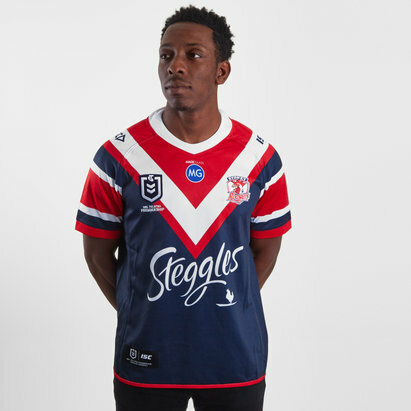 The ISC logo is on each shoulder whilst the club badge is on the left and the NRL league logo is on the right. 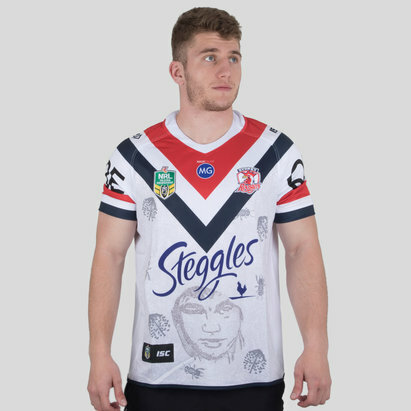 The team's main sponsor - Steggles - is printed across the middle of the shirt.